April 25, 2016, 4:58 p.m. April 25, 2016, 4:58 p.m. The contemporary digital world is steadily getting “smart” and the mobile apps here play a crucial role here. Whether you want to check the news headlines or looking to your social media account or are about to order your food- there are apps for almost every function. With driving being a fundamental part of everyday life, is it possible that there would be no driving apps? Well, certainly not. The good news is that the modern app market today has come up with a bevy of some amazing driving apps that are sure to impress the drivers and car owners. So what are the hottest of those apps? 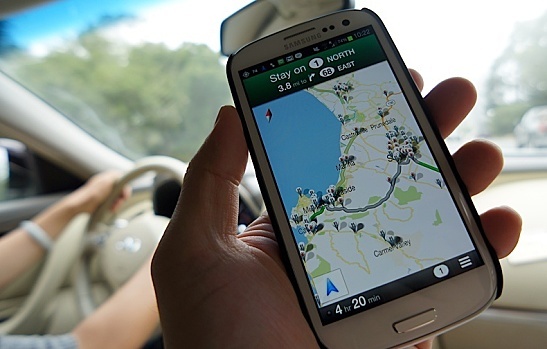 The post below offers a brief on top 5 driving apps every driver would love to carry. No matter how great your car is you have to take it to a garage from time to time. Now, your car is one of your most valued assets and hence you have to be careful about selecting a good local garage. When it comes to selection, a comparative study is the most needed and this is where the Autobutler app would be the thing for you. One of the most popular among free driving apps, this app would let you have as many as three offers from credible garages locally and that too anywhere and anytime right from your iPhone. You would be glad to know that Autobutler even reveals the garage ratings as well from more than 200,000 vehicle owners to help you with a solid comparative study- about the garages’ credibility factor. Moreover, the app will send you a reminder about a timely garage service for the car, scheduled appointments or tyre change. It’s kind of your complete garage app. Do you know you have driving apps today that can save you insurance premiums? It’s needless to mention that safe drivers with good control over speed are rewarded by insurance companies with low premiums. But who is going to tell your insurance agent that you are a safe driver? Well, you have Intelligent Marmalade here to do the work for you. One of the most effective iOS driving apps, this app here is themed on the advanced “black box” or telematics technology. As per of the black box scheme, the insurance company will fix a little box inside your car which will check your driving and offer detailed report about the driving activities to the insurance company. If the data proves you as a safe driver, the insurance company will offer you cheap premiums. The app works to emulate the telematics offering & would monitor everything which can show up your driving practices. As the app is free, you will be able to save with the black box as well. This app is specifically tailored for the young drivers who are mostly subjected to higher insurance premiums. But if you teach your teen master to be a safe driver from an early age and when you have the intelligent Marmalade to prove it, he can end up with handy savings with his teen driver insurance premium. When it comes to saving money and fuel while driving, it’s not always about opting for optimal routes & avoiding hazards. It’s also about your driving habits and this is where Driving Curve comes in as one of the most useful driving apps. It’s basically used to gauge your driving performance and will work to measure your acceleration, speed & braking to check your fuel usage & potential wastage. No doubt it’s one among the must-have driving apps. The app assures handy accuracy on the measurements and you will simply love its sophisticated polished interface. However, you need to log in with the social media giant Facebook to use the application. The good news is that you have it completely free of cost. The app is useful for both Android and iOS users. When it comes to top 5 driving apps in the contemporary “smart” market, the list would stay incomplete without the mention of Waze. Defined as “world’s biggest community-based traffic & navigation app”, the application has garnered massive popularity & rave reviews from users since its launch- and that too for all the great reasons. This can be easily your one-stop GPS navigation application anyday with its user-generated traffic & road data in real time. You will find continuously updated maps which would be really helpful when you are wheeling in a new place. Also, it would help you to cut down on your mileage as well as save time & petrol. Moreover, it comes with in-built search tools that will enable you to get hold of cheapest fuel rates too. Now, isn’t that just cool? Finally, when you have your mobile app helping with navigation you are automatically saved from wasting your money on a separate navigation device. And yes, it’s a user-friendly app with great responsive design. While discussing about the best driving apps, it is impossible to wind up without the mention of a driving app that ensures a safe driving. Despite several warnings on “don’t text & drive”, to the UK drivers staying connected with friends over messaging and social media sites while driving seems to be more important- which is definitely dangerous and could be life threatening. But, you don’t have to worry about it anymore as you have DriveSafe.ly to take care of it. So what does this app do? Well, the app is designed to speak your SMS, email, Twitter or Facebook messages aloud so that you don’t have to use your hand to scroll through your notifications while driving. Not only that, the app can also respond to the messages received on your part through voice so that your hands can stay tight on the steering only. It’s a paid app and is available for iPhone users. So, next time, your teen son is out driving, you know what to do with his iPhone. Stay safe while you drive.